This breakthrough book presents a disarmingly simple idea: The way we pay attention in daily life can play a critical role in our health and well-being. 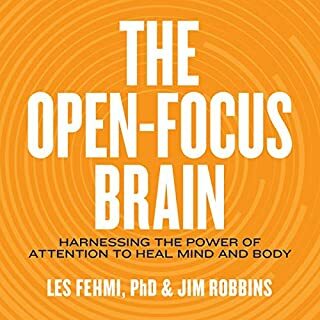 According to Dr. Les Fehmi, a clinical psychologist and researcher, many of us have become stuck in “narrow-focus attention", but we must learn to return to a relaxed, diffuse, and creative form of attention, which he calls “Open Focus”. Femhi offers straightforward explanations and simple exercises on how to shift into a more calm, open style of attention that reduces stress, improves health, and enhances performance. 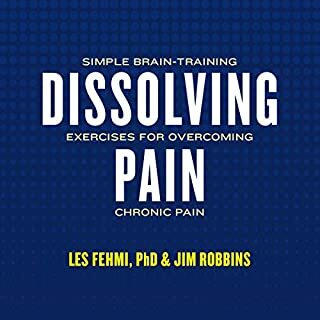 Dissolving Pain is based on the premise that although pain is perceived to exist in a particular part of the body, pain in fact resides in the brain. Dr. Les Fehmi, a leader in brainwave biofeedback (also called neurofeedback), reveals that it is possible to learn to resolve pain at the brain level, using simple attention exercises. Drawing on scientific research, Dr. Fehmi explains how to quiet the pain signal in the brain, empowering readers to free themselves from many forms of pain and discomfort. Biofeedback is a way to check in with your body and make sure it is healthy and relaxed. Meditating is a great way to release tension stored up throughout the day while reconnecting with your physical self. Conducting neurofeedback and biofeedback via meditation techniques can help you lower your blood pressure, reduce stress and increase feelings of relaxation. This guided meditation is designed to help you improve the quality of your life by first starting with the mind and body. 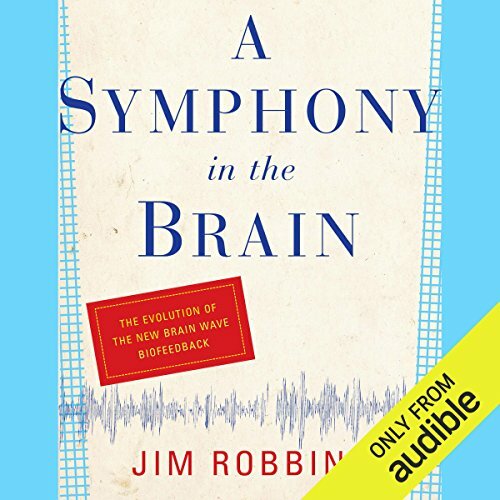 In the decade since Jim Robbins's A Symphony in the Brain was first published, the control of our bodies, brains, and minds has taken remarkable leaps. 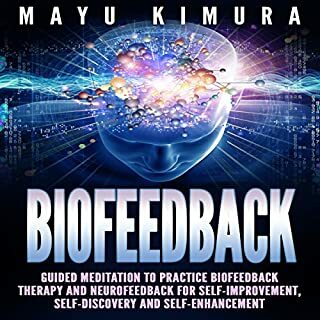 From neurofeedback with functional magnetic resonance imaging equipment, to the use of radio waves, to biofeedback of the heart and breath, and coverage of biofeedback by health insurance plans, the numerous advances have driven the need for a revised edition to this groundbreaking book that traces the fascinating, untold story of the development of biofeedback. Discovered by a small corps of research scientists, this alternative treatment allows a patient to see real-time measurements of their bodily processes. Its advocates claim biofeedback can treat epilepsy, autism, attention deficit disorder, addictions, and depression with no drugs or side effects; bring patients out of vegetative states, even improve golf scores or an opera singer's voice. But biofeedback has faced battles for acceptance in the conservative medical world despite positive signs that it could revolutionize the way an incredibly diverse range of medical and psychological problems are treated. Offering a wealth of powerful case studies, accessible scientific explanations, and dramatic personal accounts, Robbins remarkable history develops our understanding of this important field. ©2000, 2008 Jim Robbins. Revised edition. Recorded by arrangement with Grove Atlantic, Inc. (P)2014 Audible Inc.
Great book. 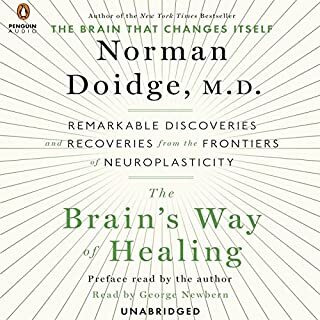 Gives a great overview of the growth of Neurofeedback. Since it has been published there has been a lot of improvements. It even addresses the beginning of the Othmer Method (a very successful symptom approach method in treatment as apposed to the diagnosis model. This audio was excellent. Well researched, written and performed. I valued the historical survey of this promising field. Fall of a complete history of Nuro feedback. Very comprehensive for the average reader. Seems to be a good unbiased review In a field full of bias. It’s interesting enough to stay with, which makes it all the more unfortunate that one has to sit through details that are fairly irrelevant like what someone is eating at a certain meal, or what the weather was like at a certain meeting. It’s like the author wasn’t able to enter the mind of the listener and take that track but instead infused long winded details that didn’t have anything to do with what the book is purportedly about. The best part was a four minute section around what yogis are able to do in controlling their body. Wish there was more about that. An entire chapter about a family and their son with epilepsy, and their siblings with who knows what. Push me to write this review out of frustration. I will not be re-reading this book. The reading is not bad. This is a professional book narrator which I appreciate. 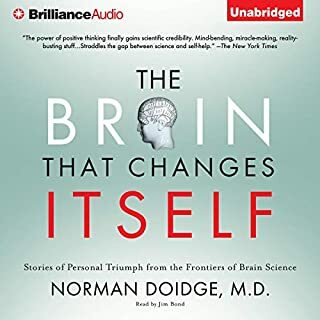 Worth the listen, especially if you are contemplating neurofeedback training. Lots of background and anecdotal stories, while imparting a greater understanding of the theory behind why this works. The material in this book is applicable to everyone and every age. The science is a behind it is simplified, explaining how brain waves play a major role in the function and performance. 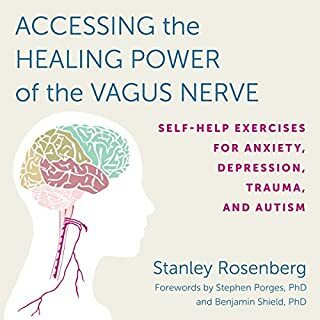 This book helped me to find treatments for my adhd depression and anxiety and I no longer have to suffer with. I hope everyone learns how Neurofeedback can eliminate personality disorders, health issues and more with out the use of pharmaceuticals. Well written and read. Seemed to be comprehensive and definitely comprehendable. Made me want to get involved.